Currently capped at around $2M to $3M, Stonehenge Metals Ltd (ASX: SHE) may be a few weeks away from entering the renewable energy game – a sector that could be worth over $600BN globally by 2015. SHE is working to close a deal to acquire the potentially revolutionary and disruptive ProteanTM Wave Energy Converter technology – A system that can generate power and desalinated fresh water from the waves in the ocean. This scalable piece of renewable energy tech is heading towards commercialisation. The technology has been 10 years in the making – and in a few weeks SHE can secure an option to acquire this technology. The technology has passed the demonstration stage already – the next step is delivering a pilot project and then commercialisation. The share price spike experienced by another ASX listed wave energy company, Carnegie Wave Energy, for simply taking part in a trial of wave energy systems in Western Australia shows just how much the market can respond to any movement in the renewables sector. As a key part of the acquisition deal, SHE needs to raise at least $1.2M from a $1.5M rights issue . The price of the new shares under the offer is $0.005. We are expecting a result to be announced in the next few weeks. No money, no deal and we’ll know soon after the rights issue closure date of 22 nd of September whether SHE is a player in the renewable energy game or it remains solely a uranium and vanadium developer. SHE are currently raising $1.5M via existing shareholders to fund the development of the ProteanTM technology. This offer closes on 22nd September, 2014. Following this the company has 3 months to place any shortfall. If this cash is raised, SHE will have a 24 month option to acquire 100% of the technology, with a commitment to a $500k minimum spend on the technology over 18 months. Sean Moore, the Protean WEC inventor, will be joining as Chief Technology Officer WEC to spearhead the Pilot Project. SHE’s rights issue to shareholders has already opened – a prospectus detailing the deal and the WEC technology has been sent to existing investors. The offer closes on the 22 nd September, with any shortfall to be taken in the weeks after, in order to raise the minimum $1.2M required to close the deal. At that point SHE’s initial plans for the technology acquisition will be funded. The ultimate goal in development of the wave energy technology and SHE’s interest in acquiring it is its commercial potential. The Protean technology appears scalable and could be built for a relatively low cost. The Protean buoys are designed to be smaller, lighter, cheaper to deploy and capable of generating power much more efficiently than rival systems. The system is protected by Intellectual Property and has been tested to the demonstration stage with a Pilot Project and commercialisation now the next steps. Those are the basics of SHE and its effort to acquire this technology through a $1.2M capital raise (minimum) over the coming weeks. SHE’s imminent potential acquisition of this wave energy technology is a tight fit for catalysthunter.com’s requirements: an ASX stock which is EXTREMELY CLOSE to a share price catalyst that could spark a share price movement. 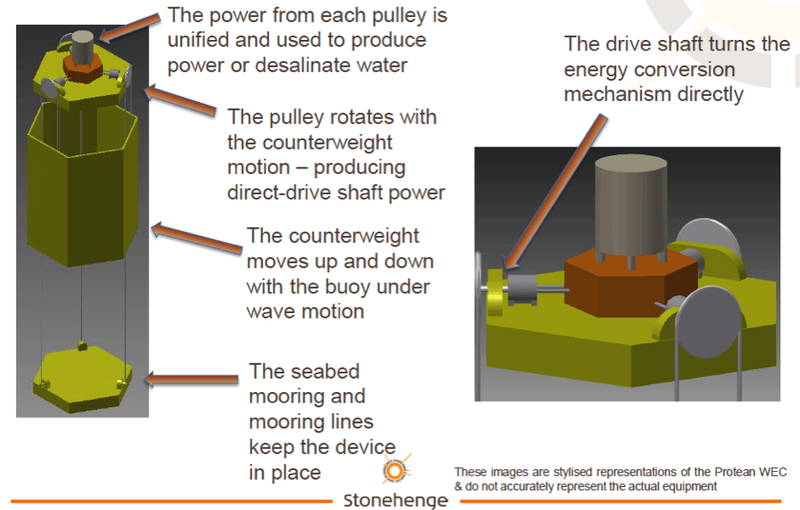 Read on for some more in depth information about SHE and the wave energy technology that could soon be part of its project portfolio. 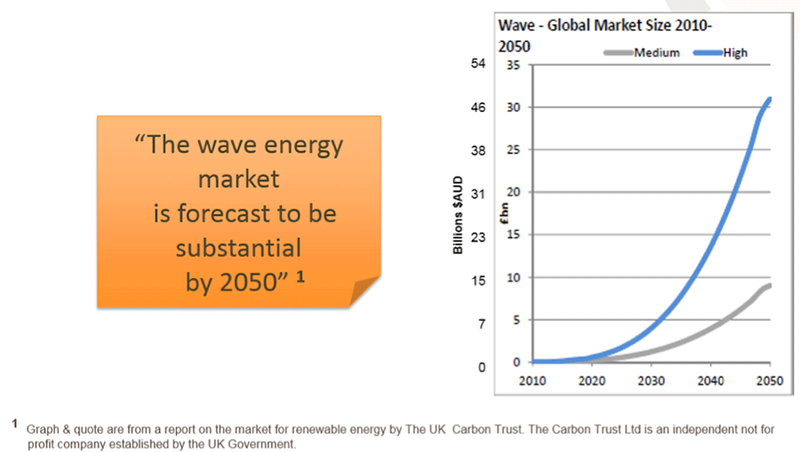 Renewable energy is a hot topic around the world with every variation of the technology being developed at a fast pace – wind turbines, solar panels, tidal energy and now wave energy are all potentially the next global fuels for the 21st century. 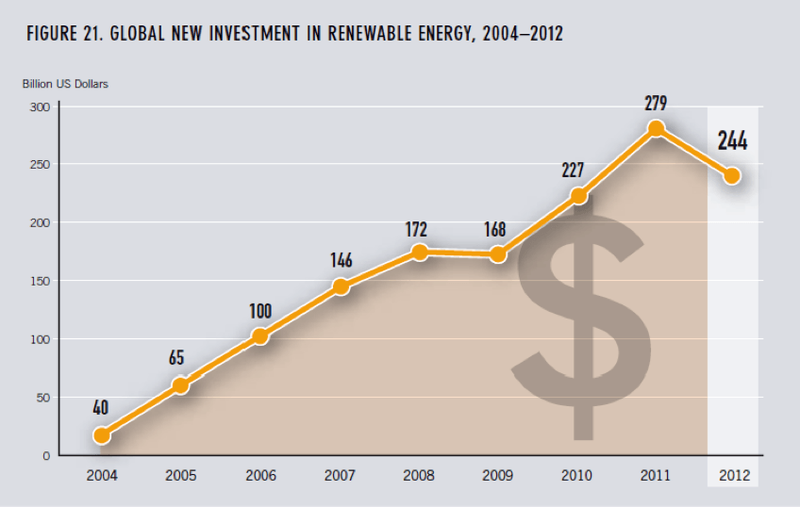 So it stands to reason that the markets can sometimes get excited by the potential of new renewable energy technology. Assuming the deal goes through, SHE’s move to acquire the Protean TM wave energy system may result in significant share price appreciation – especially if they can progress with the technology and take it to the commercial stage. The massive share price spike in the first few days of 2008 is explained pretty simply . There was a push in bone-dry Western Australia to get a desalination plant happening called the Southern Seawater Desalination Plant (SSDP). There was a lot of speculation, particularly in the media, that Carnegie’s wave energy technology would be considered to supply some of the power to the plant. Well, the plant is up and running now and it draws its energy from a solar and wind power. Close, but no cigar. But just the sniff of a power contract for Carnegie’s wave energy technology was enough to get the markets as worked up as a 6ft swell on that occasion. Since then Carnegie has retreated significantly. The fact remains that there is not one single company in the world with wave energy technology operating at a commercial scale. SHE is a high risk investment right now. SHE still need to complete the acquisition of the Protean TM wave energy technology. Even once that has happened, the technology may never get to commercialisation. 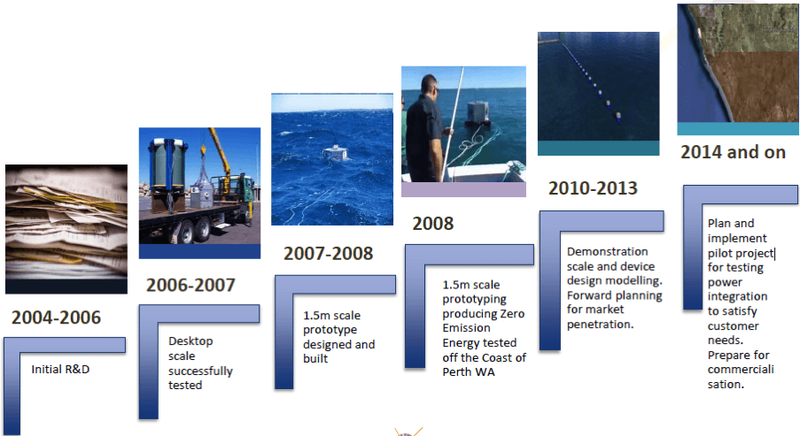 Whichever wave energy company cracks the commercialisation code stands to make millions from selling its technology to the world. The Protean technology that’s been developed has been designed from the get go as a scalable, low cost and highly effective power generation system. SHE says if the deal goes through it plans to invest in the tech and accelerate its development so eventually sales can be made. SHE wants to be part of this, and the technology it’s potentially acquiring is well advanced down the development path. 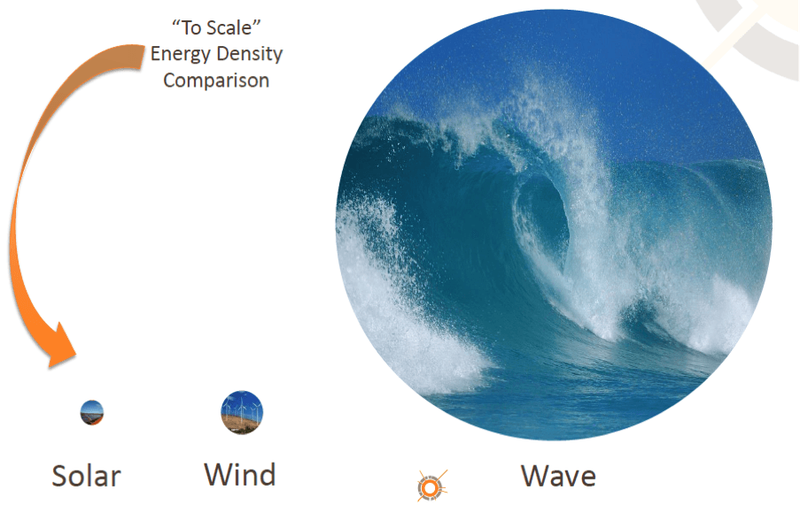 The Protean Wave Energy Conversion Technology system has been in development since 2004 and has now passed the demonstration stage. As you can see from the pictures above, the process to get the Protean ready has been steady – lots of research, then small scale tests followed by larger and larger tests until a demonstration device was ready to show the market. 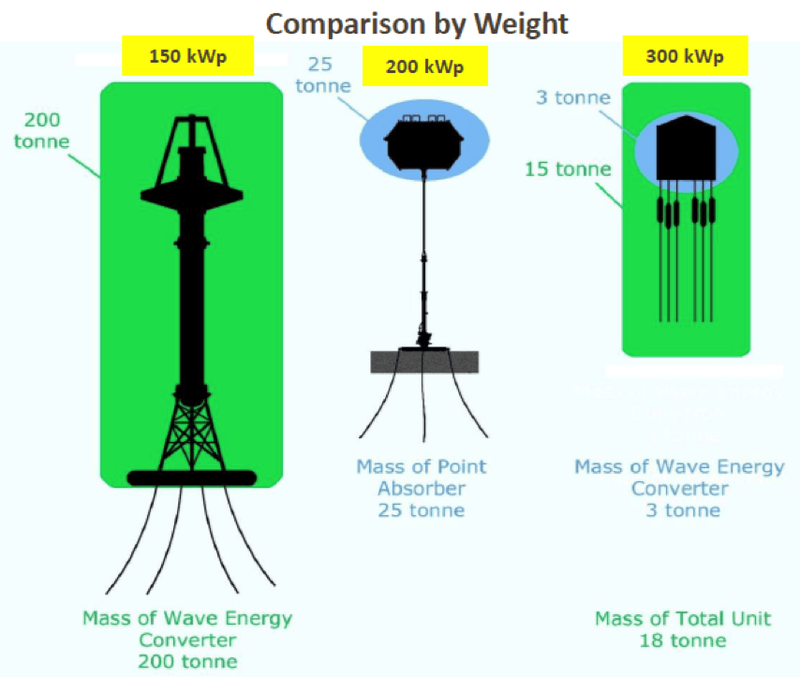 Wave power is quite simply massive. Solar power needs sunny weather to operate at maximum and wind needs wind. But the ocean is always moving and the density of the energy available to harvest is far higher. But it has to be harnessed and so far there are no companies with wave energy technology operating at a commercial scale. The Protean TM technology is aiming to be the first and SHE could benefit hugely from that ambition if they decide to acquire the technology fully and the commercialisation of the Protean TM system is successful. 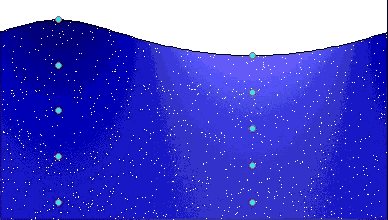 The Protean system is a buoy tethered to the sea floor, which has pulleys, a counterweight and an energy conversion mechanism. 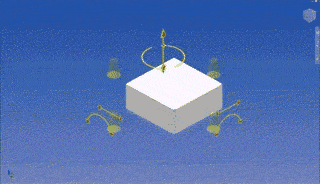 When a wave moves it has six degrees of motion – up-down, back-forth, side-side, yaw, pitch and roll – and the buoy captures and converts the energy from each of those movements. Capturing six degrees of motion is unique to the Protean TM wave technology. The power is then transmitted to the power station on land and then fed into the grid of the city or town the array is connected to. 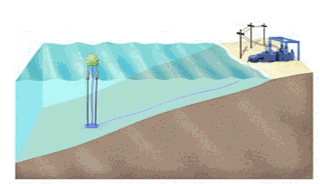 The Protean system is designed to be installed in small or large groups to form ‘wave farms’ that can be set up off any coast and at any depth. Moving forward, SHE plans to accelerate the development of a pilot project and win commercial contracts for the technology. The initial focus of this effort will be in Western Australia where the system has been developed and tested but the ultimate prize is the global market for electricity and desalinated fresh water supply. But remember, all of this depends of SHE’s ability to raise at least $1.2M within 3 months from 22 nd of September. The current rights issue offers new shares at $0.005 per share. In a few weeks we could see SHE become Australia’s newest player in the renewable energy game with a scalable, cost-effective and highly advanced wave technology system to push forward to commercialisation. That’s just the thing we look for at catalysthunter.com – and we’ll be keeping a close eye on SHE’s progress.